South Africa makes it into foreign expats’ top 20 countries to raise kids. 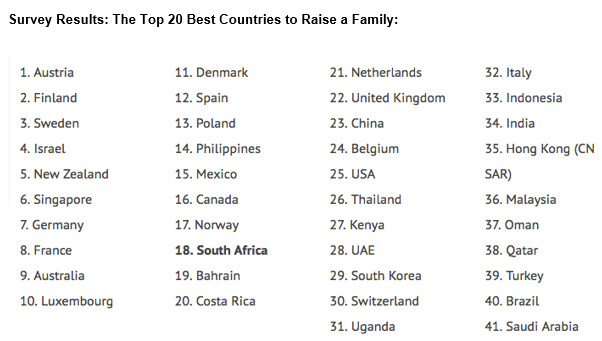 According to a survey by an international website InterNations, South Africa rates as one of the Top 20 best countries in the world to raise a family…but there is a caveat! Over 14,000 foreign expats from different countries around the world took part in the survey – rating the new countries they are currently residing in. 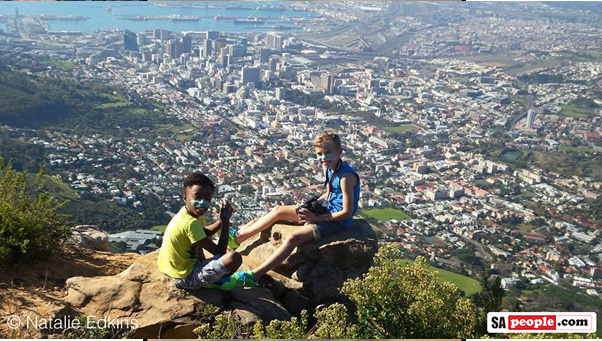 While South Africa did not fare well in the overall survey to find the Top Expat Destinations for 2015 – coming in at 49th, it did do well in the “Family Life” category. South Africa was ranked 18th in this category by the participants, whilst countries like the UK did not feature in the Top 20, but rather lagging below at 22nd. The USA also didn’t make it into the Top 20, but other South African expat hot spots did – New Zealand, Australia and Canada featured in 5th, 9th and 16th spot respectively. The UK and USA did however feature higher up the list in the overall Top Expat Destinations, with the US at 13th spot and the UK at 31st. According to the survey the top three most appealing destinations for worldwide expats are Ecuador, Mexico and Malta! Although South Africa was measured badly in the Wellbeing sub-category for its health and safety for children and didn’t feature in the Top 20 Quality of Education, the fact that it did so well in the Availability of Childcare and Education means that SA was able to clinch a Top 20 position. The Top 3 countries were found to be Austria, Finland and Sweden where education, inexpensive daily childcare, parental leave and a range of leisure activities all help to make them attractive places for families because of excellent children’s health and safety, and a good family life in general.